Planning a fun adult party doesn't have to be a daunting task. There are so many great party themes to choose from. If you've ever searched for the perfect party game for an all girl party and come up empty handed... search no further!!! What's a Dame to Do? IS that perfect adult party game you've been looking for. You'll have so much fun playing it that you'll start booking girl's nights with your friends every week just so you can play again. This game will make you laugh, cry, and want to go out and buy it for every woman friend you know. Call up the girls, stock up on delicious treats and luscious libations and pick up What's a Dame to Do? The game is based on life's little Dame Dilemmas, dilemmas that all females (ages 17 to 97) can relate to and laugh through with their girlfriends, old or new. It's quick, easy to play, low-tech fun. What's a DAME to do?! involves using your female intuition to guess how other players would react to a dilemma such as having their 8 year old neighbor suggest they need plastic surgery or accidentally hitting a guy in the groin while boarding an elevator. The other players give possible reactions from the Reaction Cards they've been dealt, hoping the questioned player will choose the response they give as what she would actually do. 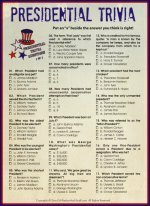 Some Reaction Cards are reasonable responses like "Use diplomacy" or "Smile," but you might also get something like "Speak with a foreign accent", "Use the hose", or "Pretend you're on a scavenger hunt". Bonus points are awarded for giving the funniest reaction. This is where the hilarity comes in, and the laughing becomes contagious. The game never gets raunchy, just edgy enough to keep things interesting and fun... laugh until your stomach hurts fun. 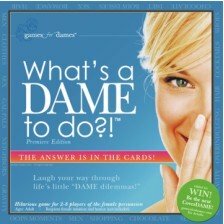 How to Play What's a Dame to Do?! This game is unique in that it was created specifically for grown-up "dames" (17+) of all ages. Whether you're single or attached, playing in your dorm room, or at your neighbor's kitchen table, playing at a bridal shower, bachelorette party, or with the multi-generational females in your family, you'll have a blast laughing, crying, and connecting with the girls. The sister team of Kerri and Patti (the brains behind the game), created What's a Dame to Do?! because they couldn't find a really fun and easy-to-play game for grown-up females. Check out what others have said about this fun adult party game for women. P.S. 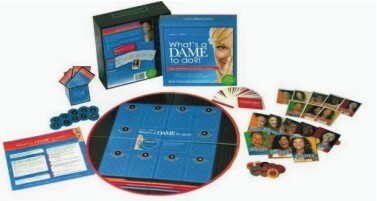 What better way to celebrate National Girlfriend's Day than laughing together through a game of What's a Dame to Do? !